5 portfolio strategies with back-tested annual returns from 2007 to present of 38%, 40%, 43%, 46% & 54% without trading futures or options…we use no leverage. Algorithmic strategies that take advantage of short-term market behavior keying off of 4 principles of successful swing trading that give you a tremendous EDGE in the market. Systems that were built to be simple and consistent. Exact entry, exit, money management and position sizing rules – everything is 100% objective – no subjectivity involved. 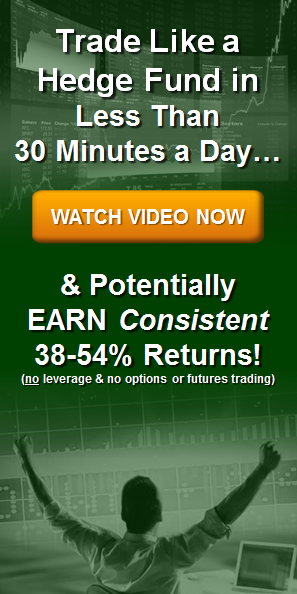 Take no more than 15-30 minutes each night after the market closes to place your trades. Perfect for those of you who don’t have much time to trade. Perfect for those of you who are your own worst enemy, and lack the discipline and skills to make money on your own. "I feel that I can now succeed in trading"
"I was actually thinking of quitting because I had lost so much money both in my account as well as on bad education; you have totally turned that around and I feel that I can now succeed in trading." "this is going to get me there"
Why we use Algorithms? 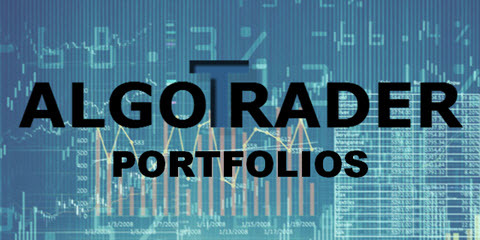 Let Us Guide Through the Maze Tell Me About Algo Trading Will AlgoTrader Work for You? Where You Place Your Trades? Limit Orders - A Key Component What is Swing Trading? What is a System Health Monitor? What is 2-tier Position Sizing? What is a Maximum Drawdown Duration? What is Compounded Annual Return?